As you enter the home, you are engulfed with natural light from the numerous windows of this end unit and immediately drawn into the inviting open floor plan. Whether sipping a morning cappuccino in the breakfast nook or entertaining guests for a dinner party in the connected high-ceiling living space, you will appreciate the stylish and tasteful finishes throughout the residence. The well-appointed kitchen includes new quartz countertops and convection wall oven, stainless steel built-in appliances, and a gas cooktop. Unwind and relax in the master bathroom steam shower or soak in the jetted bath. With a private terrace, tranquil community courtyard, and the peaceful surroundings of One Polo Creek, this home ensures a serene lifestyle without compromising on living within a vibrant, active urban neighborhood. Residing at One Polo Creek provides a rare opportunity to experience around the clock full concierge service, valet parking and a weekly car wash. Listing provided courtesy of Keller Williams Dtc. SchoolsClick map icons below to view information for schools near 2400 East Cherry Creek South Drive #304 Denver, CO 80209. Home for sale at 2400 East Cherry Creek South Drive #304 Denver, CO 80209. Description: The home at 2400 East Cherry Creek South Drive #304 Denver, CO 80209 with the MLS Number 4475869 is currently listed at $1,199,500 and has been on the Denver market for 77 days. 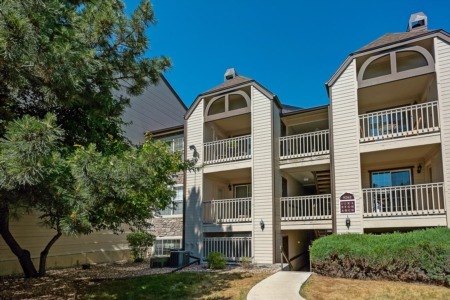 You are viewing the MLS property details of the home for sale at 2400 East Cherry Creek South Drive #304 Denver, CO 80209, which is located in the Cherry Creek subdivision, includes 2 bedrooms and 2 bathrooms, and has approximately 1786 sq.ft. of living area.